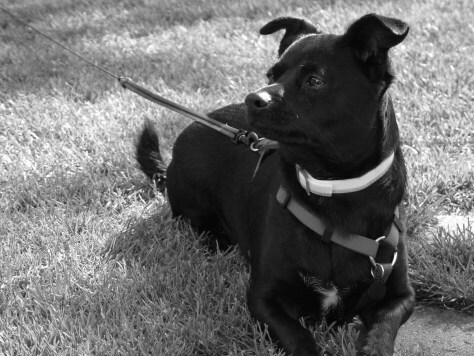 We asked for photos of your cute mutts, and boy, did you respond! Here is a selection of some of our favorites. 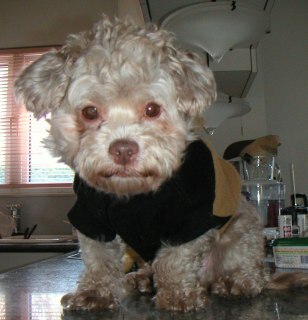 Cocoa coming in from a walk on cold Sunday, wearing his fleece jacket. This is Micky, my FoundChowLab, rescue dog. 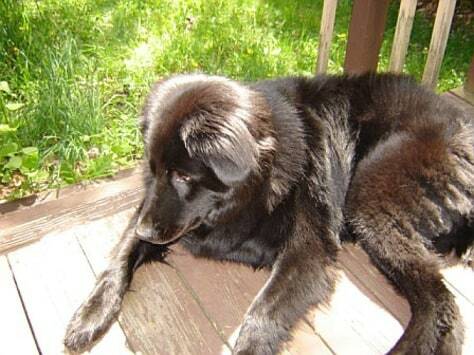 His behavior is wonderful, mellow like a Newfoundland but friendly like a lab, with a spotted Chow Chow tongue. He is so beautiful people are always shocked when I tell them he's a mystery mutt! 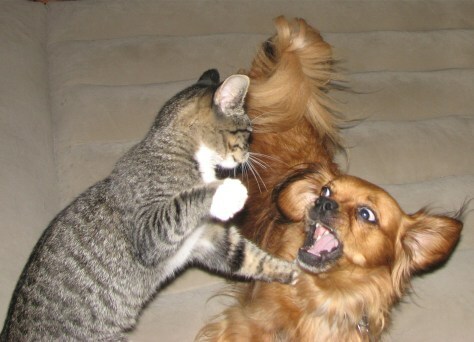 You can find the best mannered, healthiest pets at your local shelter. Viva mutts! This is Wolfie. 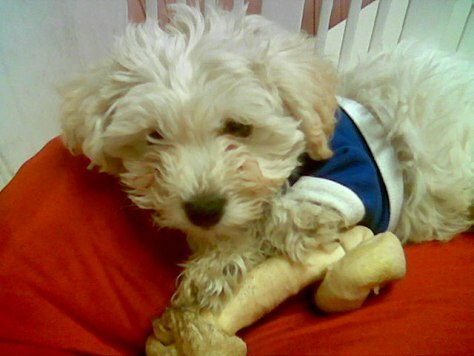 He is 4 years old now but was only a puppy in this picture. 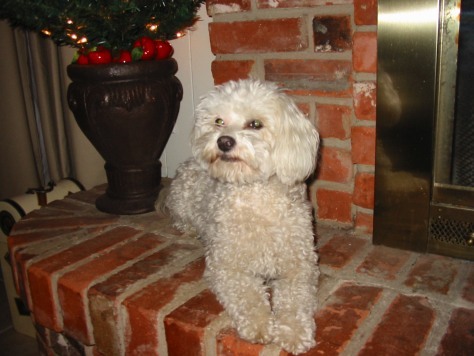 He is a Peke-A-Poo which is a mixture of a Pekenese and a Poodle. 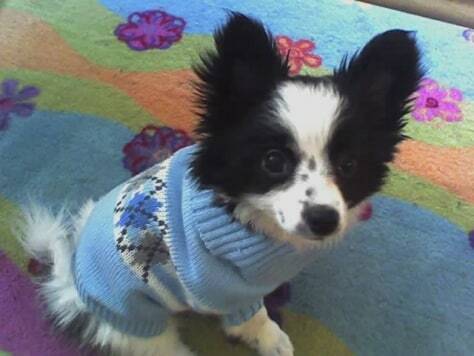 This is Sebby, our Porgiweeniewahwah (Pomaranian, Corgi, Dachshund, Chihuaha). He came from a shelter. 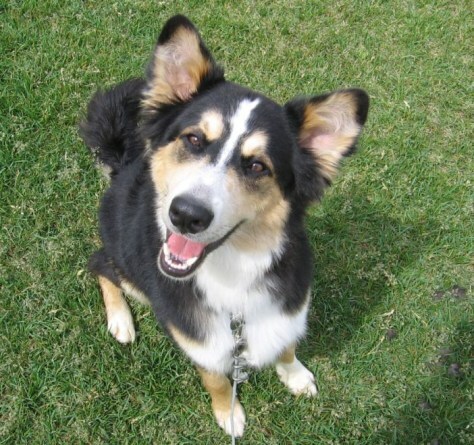 Abby is a friendly, loving and devoted Aussie Mix. She spent most of her life on a ranch in the middle of nowhere until recently. We adopted her and she moved in with my hisband and I in a condo in San Diego, CA. She's adjusted well and now lives peacefully with us and our two cats. She's the most gentle little girl in the whole world and her "designer dog" name should be the Australian Sweety. These are our two new puppies, Balder and Mimir. 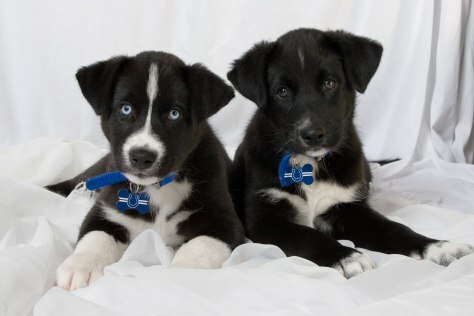 Their mom was a husky and their deadbeat dad was "probably a lab." We could either call them Labskies or Huskadors. Either way, we call them CUTE! This is Millie; we got her from our local animal shelter. We think Millie is mostly Golden Retriever, some German Sheppard and all mischievous. We refer to her as our Golden Mutt. 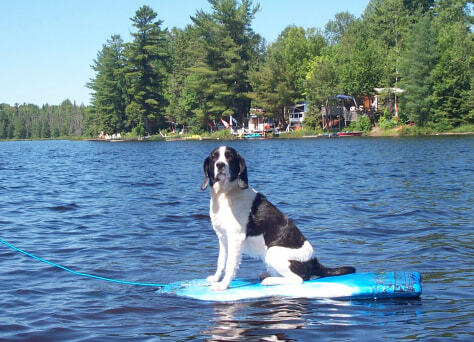 This is Daisy my lovable Speagle (Springer Spaniel/ Beagle cross).As you can see in her picture she loves the water and her Speagle board. 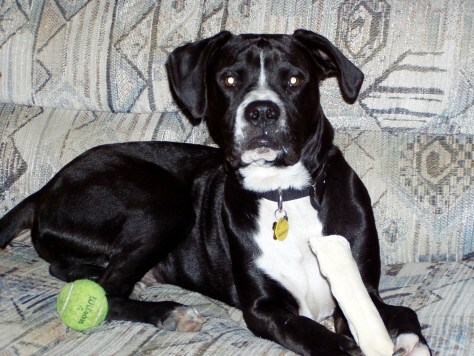 Macy is a Boxer/Labrador that we rescued from a shelter. She is really, really energentic and very lovable. At night, she loves to climb up onto the couch with me and literally lay in my lap to snuggle. She's the classic 50 pound lap dog. The "designer dog" name I'd give her is a Laboxador. This is Danzig, my daughter's dog. Rescued off the street as a puppy, he appears to be a bull boxer, or bulloxer. 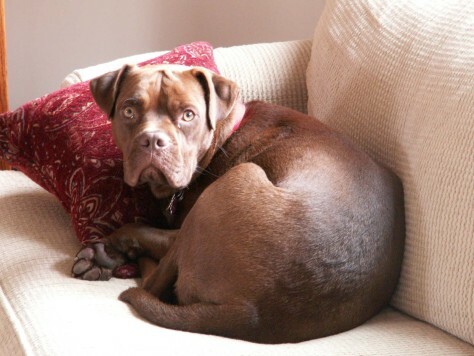 This is a cross between a boxer and pitbull or staffordshire terrier. He is very social, friendly, and playful. Loves to play with his feet like a boxer and will chase a ball 24 hours a day if allowed. Molly is an 11-year-old Yorkie mix. 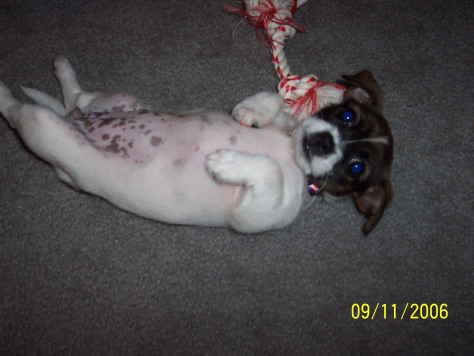 We were told that the other 1/2 might be Jack Russell Terrier. She weighs about 25 pounds. The vet affectionately calls her a "Giant Yorkie." As for a name, how about a Yorkier! 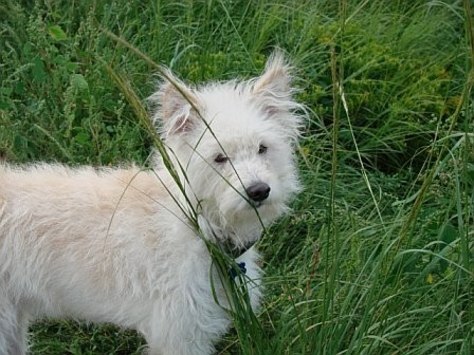 I believe that my dog, Gibb, is an American Eskimo/Fox Terrier mix. His designer name should be Foxy American. This is Boomer. She's part Cocker Spaniel and part lab, supposedly. We'll call her a Cockatiever! She's 12 years old. 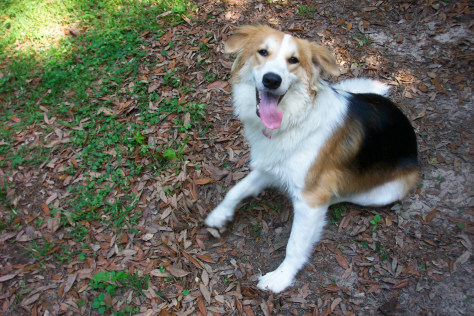 Sam is a playful mixed breed dog who exhibits a variety of herding dog traits. He is a therapy dog and we're often asked his breed. 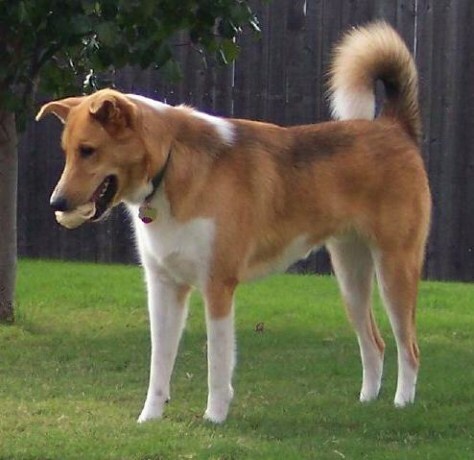 Since mutt or Heinz 57 seems to be out of vogue, I've taken to describe him as a "North American Curled Tail Collie." 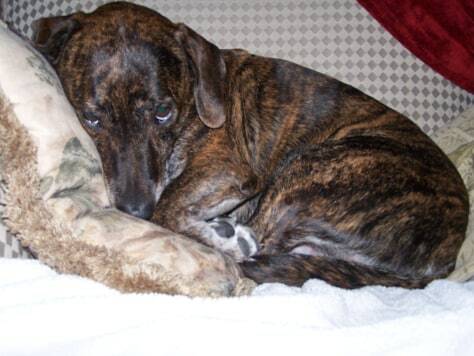 This is Tippy -- a shelter rescued "All-American" (a.k.a. 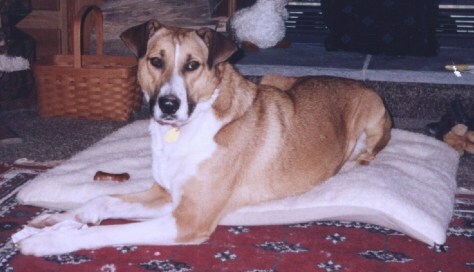 mixed breed or mutt). 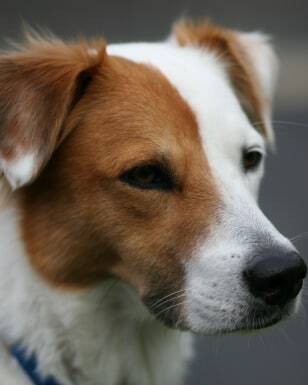 We believe she is a border collie/jack russell terrier cross; our designer dog moniker? Split-faced borderjack! Meet Stella Blanche Hutzler Eckert. Stella is a six and a half year old rescued dachshund-Labrador mix. We call her an exotic dachsador. She is inquisitive and stubborn, like most dachshunds. And like most Labradors, she is sweet, loyal and loves the water. Going to the beach is her favorite activity. We have had Stella for six years and can't imagine our family without her. This is Oscar. 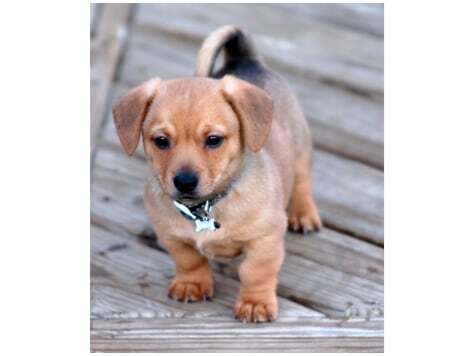 He's a mix of beagle, terrier, daschund and chichichua. He's such a cutie. 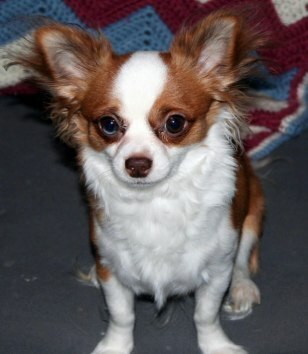 I think his breed should be chi-wienerteagle. 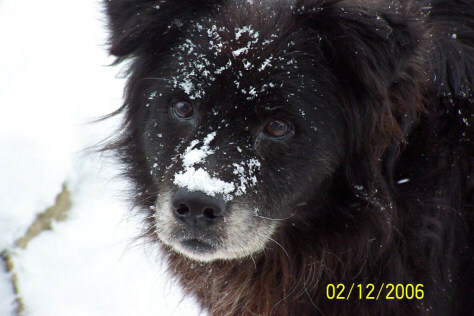 Kevin - my shelter mutt...could be: German Sheppard, Bordie Collie, Austrialian Sheppard, with Bermese type coloring... looking mutt Burmese Border Sheppard - History - Ancient dog brought from Germany to guard the Tibetian boarders from wayward sheep. 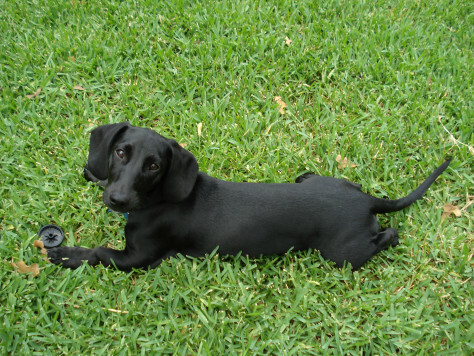 Clooney is a Pygmy Lab. He's really a dachshund, dalmation, spitz mix. This is my puppy. She is a Labrador/Rottweiler mix. I guess she could be called a Rottador! But she is just a sweet mixed puppy to me. This is Jackson, our 15 month old Huskador (He's a Labrador Retriever/Husky mix). 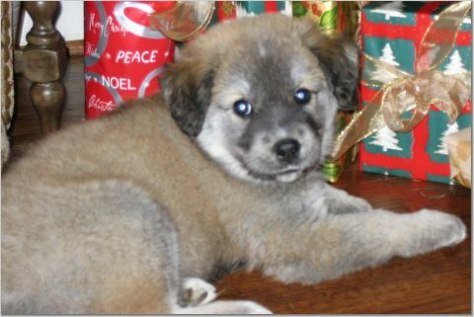 The picture was taken when he was about 2 months old, just after we adopted him from the Jackson County, Alabama ASPCA. This Bailey McKinney and he is our little mutt. 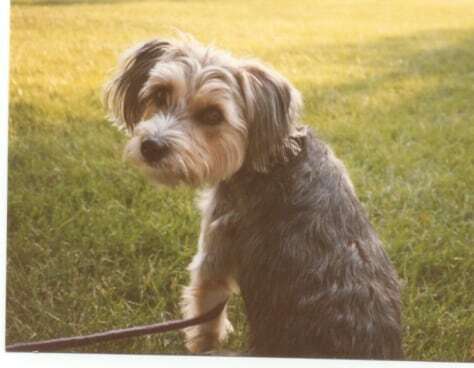 He is a mix between a Yorkie and Bishon Frise. So we have come up with Bisorkie. Hope you like. 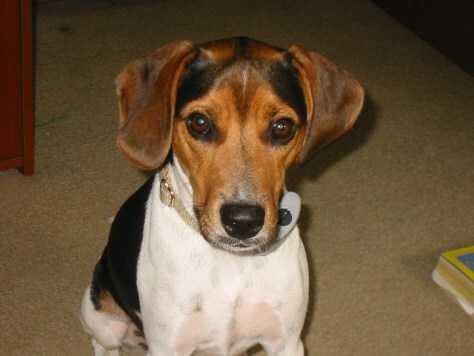 This is Elmer, a mix between a Jack Russell Terrier and a Beagle. We call him a Regal! 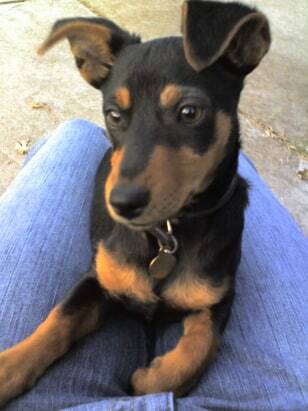 Berkley is a rat terrier and mini pinscher mix. He is approximately 7 months old. 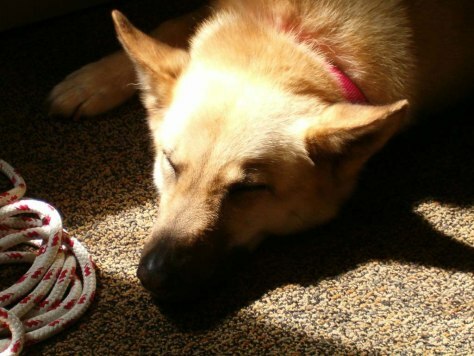 Adirondack Shepard is what like to tell people she is. She is really our pound puppy! Part Huskey and part German Shepard. 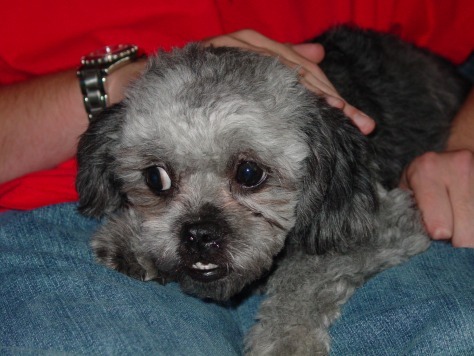 Gretchen was abused and then ran free for months before the local shelter caught her. She was then adopted 3 times and returned before we got her! And we couldn't ask for a better dog. 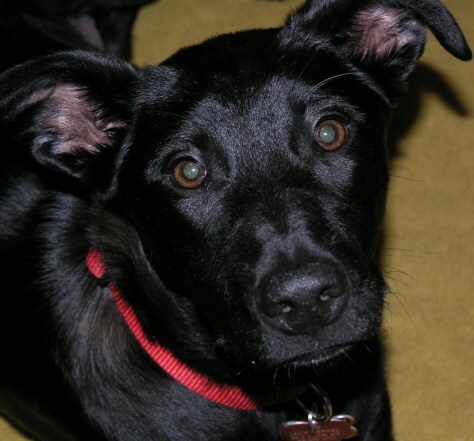 Lucy was found in a parking lot at around 3 months of age. She's now two years old, and one of the smartest, sweetest dogs we've ever met. We guess that she might have some blood of Labrador Retriever (coat and intelligence) and Greyhound (she's a FAST runner). We call her our Urban Hybrid- genus and species Stinkus Sillyus. This is Bruce. 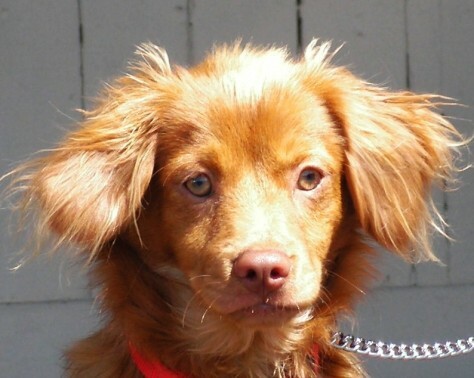 He's a Chihuahua - Long Haired Dauchsand mutt. We like to call him a Spicy Weiner Dog. Cody - a daschund/chihuahua mix adopted from the humane society in 2002. We call him a "daschuhua". 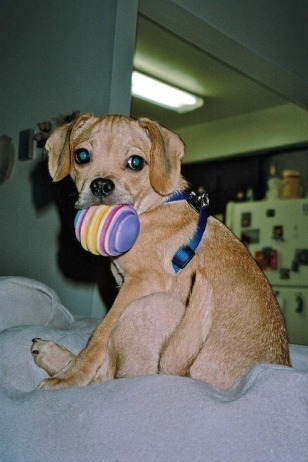 Jaxon is a 10 month old puggle. 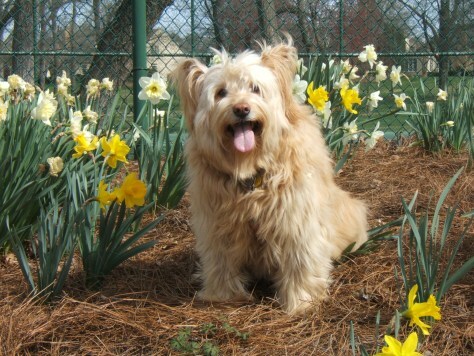 Lucy Biscuit, Buena Vista Terrier, enjoying spring flowers. 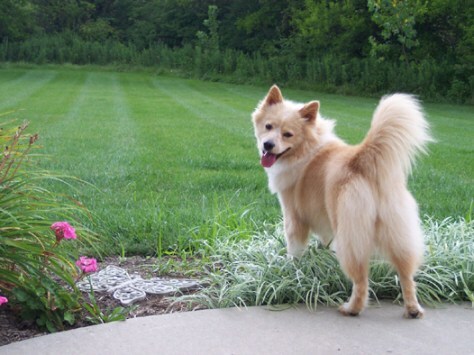 This is Lil' foxy Brown; a 2 year old Eskie-Inu (American Eskimo/Shiba Inu mix). She was rescued off the streets of New Orleans after Hurricane Katrina. 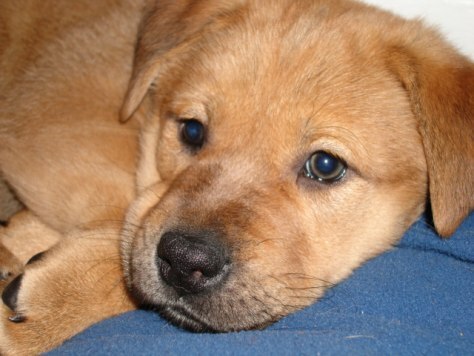 Kristi is a shar-pei, golden, and shelty mix. We call her a "shar-den!" We found our pup abandoned on the side of the road in Texas. 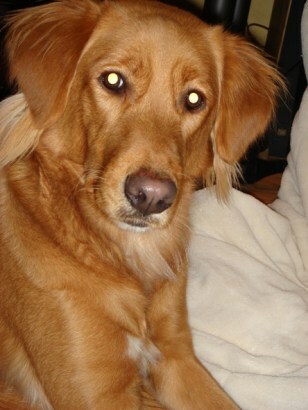 She is the best dog - sweet, calm temperment, very easy to train, and has the softest fur! 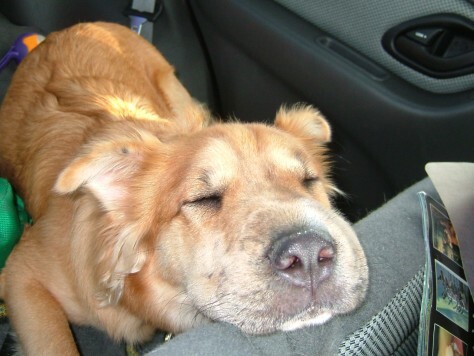 She travels with us often - an easy dog to have in the car. Her name is Lady and who knows what her mix is (although everyone does ask!). 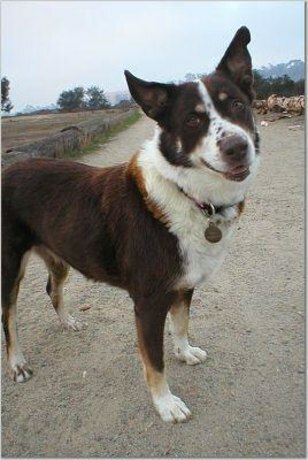 Maybe an Austrailian sheperdmutt? 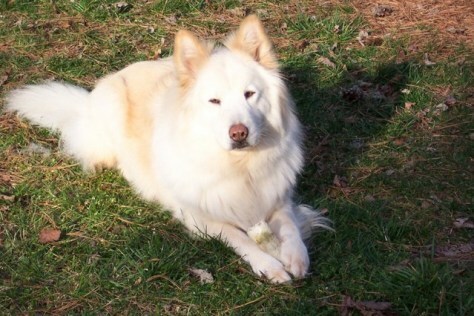 Roeg is a samoyed chow chow mix. We call him our little samowmow. This is Missy, she's a 16 year old shelter rescue. She's part Chow (she has a purple toungue), part lab (we think). We could call her a La'Bow??? This picture is of her playing in the snow, which she loves! 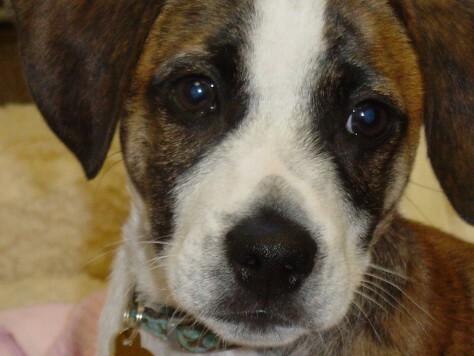 Our dog, Hope, is a 7-month-old Boxahoula (Boxer/Catahoula mix). She's absolutely the cutest dog ever...especially when she starts boxing with you! This is Abby Lou, who thinks she owns the place. 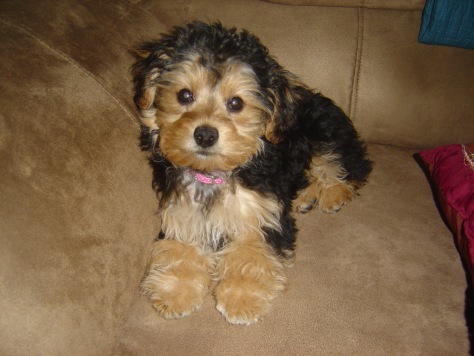 OK, she does... She's just a mutt puppy but the groomer thinks she must be a Maltese/poodle mix. That is kinda "designer" so we call her a pootese, instead! 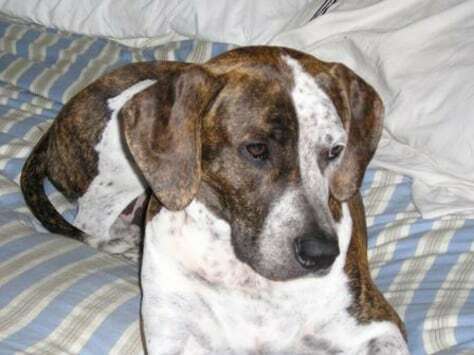 Tate is a 5 year old German Short-Haired Pointer Pit Bull mix. She is brindled like a pit bull and ticked like a GSP. 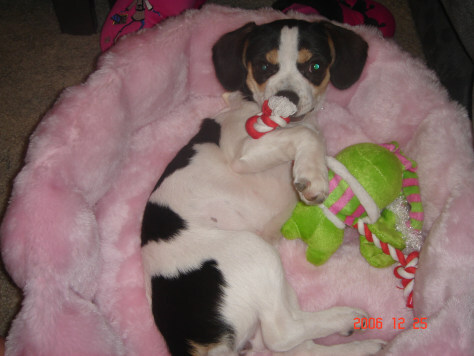 We got her from a foster home in Fort Worth, Texas when she was 4 months old. 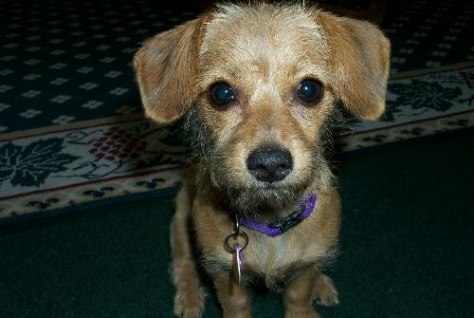 She is easy going, fun loving, and a very independent dog. I get stopped every time I walk her and get offered money for her. She is truly one of a kind, I have never seen another dog that looks like her. I think her designer name would be a Pointbull. 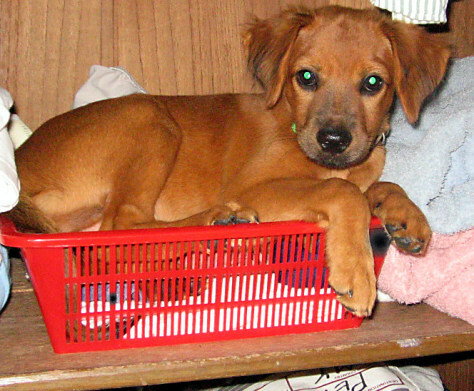 Our 2nd dog Taffy born on the day that the Tsunami hit Asia. 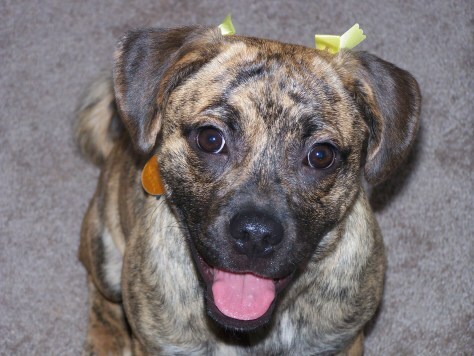 We believe she's a "dashxer" - cross between a daschund and a boxer (or so says the person who gave us the dog). 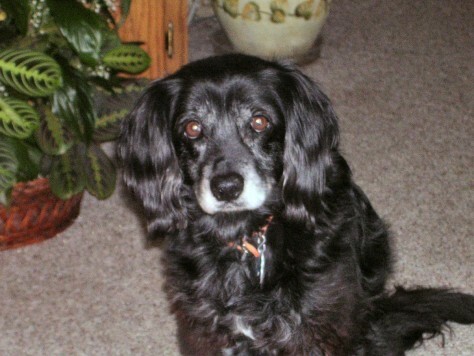 Bugsey was a rescue dog. 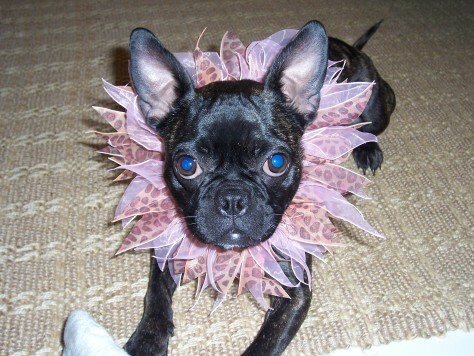 I wanted a french bulldog but fell in love with her instead. I was told she was a Pug/Boston Terrier mix........what is so fondly referred to as a Bug...hence the name. This is my dog, Eudora. 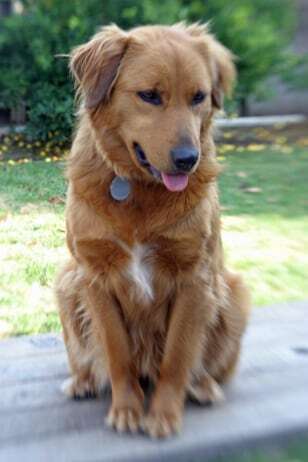 She is almost three, and she's a mix between a Golden Retriever and a Border Collie. My husband and I have always referred to her as our "Golden Collie". Cute, huh? 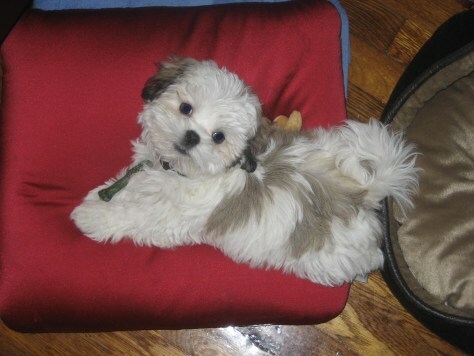 This is Lyfe...He is a Lhasa-Apso Bichon Frise Poodle...We just call him a LhasaBichon. 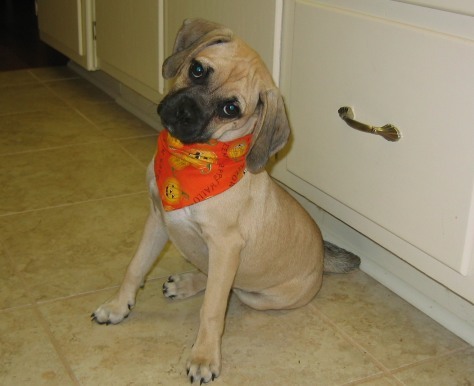 Everyone always asks what type of dog he is and we just call him "Lyfe"
Cassie is a one of the more popular mixes... a mix between a pug and a beagle...called a Puggle. We like to call her the "snuggle puggle". 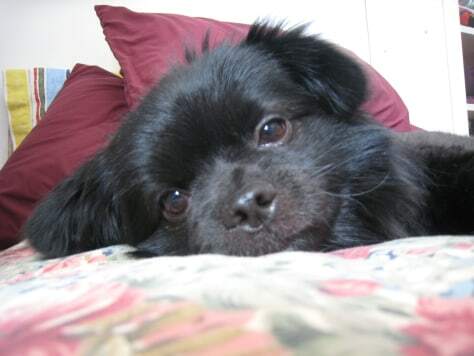 Frankie's mom is long haired chihauhau and dad is pommeranian. He is a character! This is my Charlie T. Barkley. He is a Shepherd/Shar-pei mix. Wonderful temprement, very intelligent and LOVES people and wouold stay outside all day if we'd let him. I think his breed would be called a Shep-Pei or a Shar-perd.... at any rate he is gorgeous and I wouldn't give him up for the world. This is Cooper. 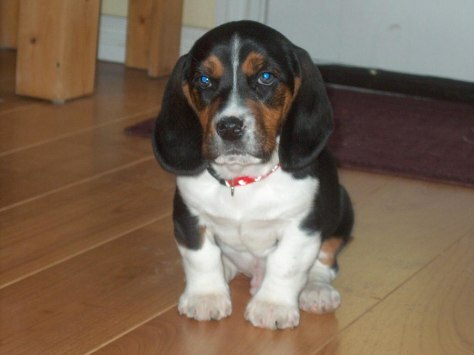 He's an 8 week old Bassett/Beagle hybrid. This makes Cooper a Bagle. Meet Mason! He's my 2yr old Chow/German Shepherd Mix. Gorgeous! Perfect of both mixes. 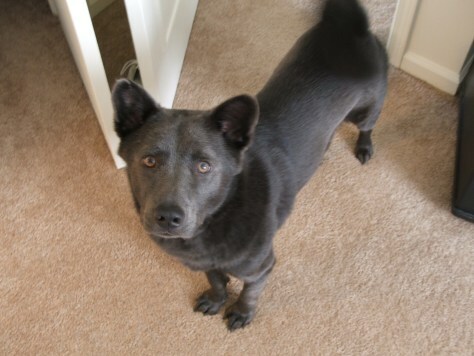 His dad was a Blue Chow and Mom was a black shepherd (i think). He is a rescued scrap yard dog. Guess you could call him a more of a "Mini Wolf"
This is Macy. 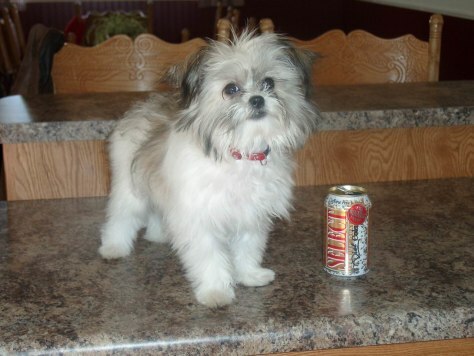 She is half Shih Tzu and half Toy Pomeranian, and she is 3 years old. She is the BEST dog. My husband calls her a Shiranian. 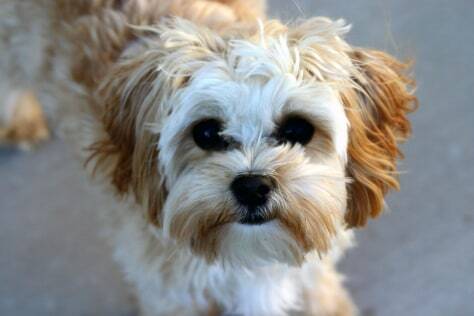 Josie Livingston, the cutest dog ever! Her mother is a miniature dachsund, and her father is ?? ?, but we are pretty sure he was a border terrier. I can't tell you how many people have asked me where they can get a dog like her, so I think this should be a new designer breed called "Doxieterry". 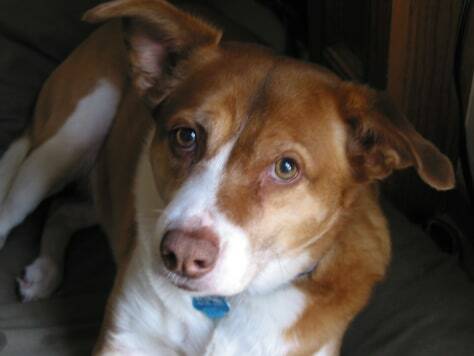 Besides being cute and adorable, this is a really sweet-natured dog, yet a little feisty and very smart. She will play fetch, do tricks for treats, and snuggle with me. 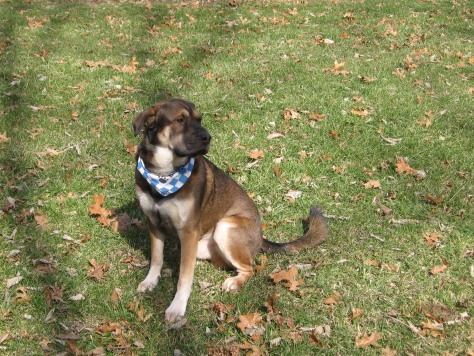 This is my dog Chance, I adopted him at the Animal Protective Association of MO. 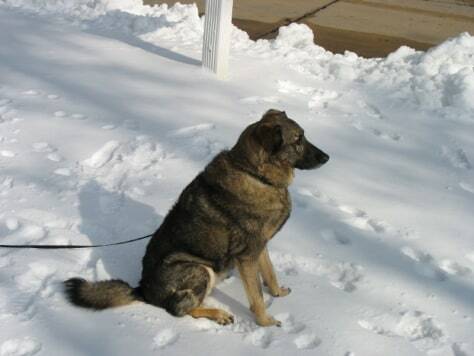 He is a German Shepard mixed with Norwegian Elkhound. So I guess he is a Norwegian Shepard? :) He is the best! Everyone thinks these guys are German Shepard pups, but they are full grown at 30 lbs. 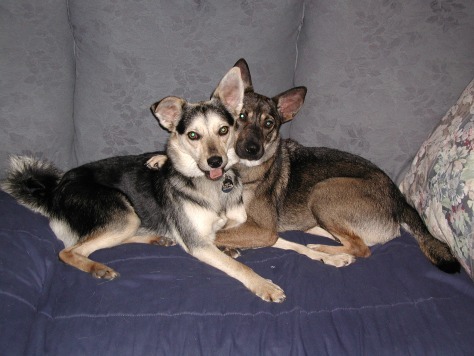 The pound listed them as shepard mixes, and we think the girl (one the right) is a German Shepard/Basenji mix, so I guess she would be a Sheparji. 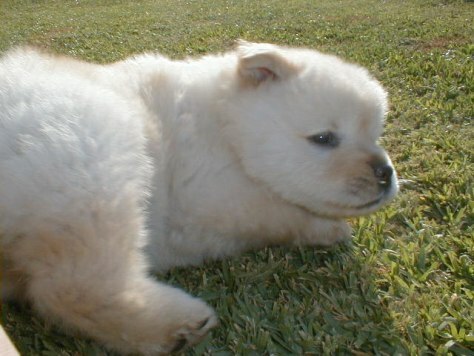 As for the little boy, he might be a German Shepard/Minature Collie/Spitz, so he's a Shepspitzllie.